One cannot develop South Africa with a blanket approach, without consultation and discussion and these interactions should not be confined to the election season only, Inkatha Freedom Party (IFP) MP Mhuleko Hlengwa asserted during a Steel and Engineering Industries Federation of Southern Africa (Seifsa) political parties breakfast event on Friday. Seifsa on Friday hosted representatives of political parties to discuss the parties’ plans for the economy ahead of the national election on May 8. The event was attended by Democratic Alliance (DA) federal chairperson Athol Trollip and African National Congress (ANC) economic transformation committee chairperson Enoch Godongwana, besides others. Trollip pointed out that South Africa faced a crisis of stagnant economic growth, or “stagflation” that had resulted in a 27% unemployment rate and a 50% youth unemployment rate – meaning that every second young person in South Africa was unemployed. He highlighted that the current situation was not living up to expectations, referring to President Cyril Ramaphosa’s “promised economic growth rates of 3%, which have subsequently been revised to around 1.2%”. If elected to lead the country, the DA would address policy incoherence and contradictions that made investors jittery, said Trollip, citing, for example, that Ramaphosa had stated during the World Economic Forum, in Davos, in January, that the South African Reserve Bank (SARB) would not be nationalised. However, a few weeks later, he stated in Parliament that the SARB would be nationalised. Trollip further remarked that there was factional contestation within the ANC that was based on groups of people that had fundamentally divergent views. “When you hear Finance Minister Tito Mboweni making progressive comments about privatisation at Eskom, immediately he is countermanded by Deputy President David Mabuza and secretary general Ace Magashule. The continued hostility and negative rhetoric towards business – “the only real sector that can [contribute to] economic growth” – was a matter of concern for the DA, Trollip stated, adding that business was often made to feel responsible for the low economic growth, but they did not get much support from government. For example, Trollip noted that government had a policy of State-led infrastructure growth, but said this had not worked, because if it had, some of the country’s biggest construction companies would not be in business rescue, facing possible liquidation. Advocating for the DA’s success in the Western Cape, Trollip put forward that the provincial unemployment rate had decreased to 19%, which is 14 percentage points lower than the national average. “Since 2009, the Western Cape completed over 2 000 housing opportunities and is on track to meet 100% of its targets by the end of the current term. Since 2009, more than 100 000 people have received title deeds across the province,” he stated, adding that 95.1% of Western Cape households now live within 30 minutes of a healthcare facility. Trollip explained that the DA would repeal counterproductive legislation, such as the Protection of Investment Act, and the proposed nationalisation of the SARB Reserve Bank, as well as increase employment transparency in recruitment and avoid cadre deployment. “We believe there should be a job seekers allowance of R150 a month for young people, while allowing them to travel free of charge on public transport, to help alleviate spatial apartheid. We should establish national job centres where people can get access to free WiFi, information and advice, and assistance in preparing curriculum vitaes and job applications”. Trollip concluded his speech by saying that the DA wanted to incentivise job creation and said the current broad-based black economic empowerment model was restrictive; the DA would like to change the scorecard to allocate points that promote employing new people and also for improving training in the jobs market. 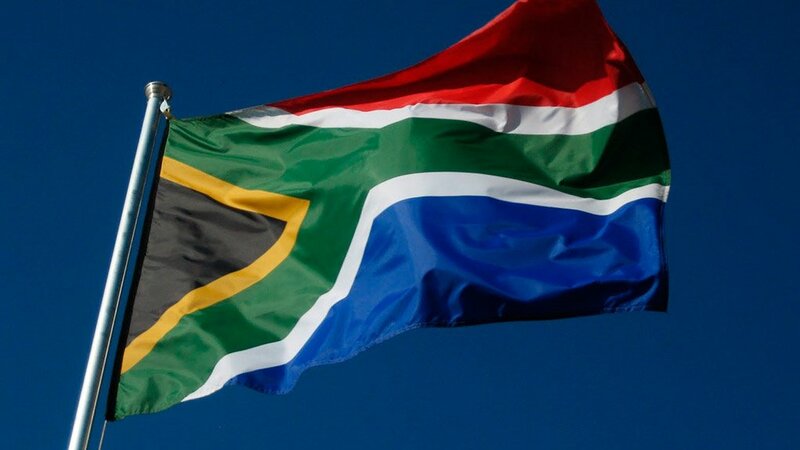 Godongwana, meanwhile, acknowledged that the mining and manufacturing sectors had not been performing well, and that the global economic slowdown and load-shedding had also had respective impacts on business in South Africa. He stated that government was struggling with structural reforms and that Ramaphosa had been trying to restore business activity in the country. He noted that government had been addressing the efficiency of infrastructure spending to assist in the recovery of the construction sector. Godongwana called on business to help shape incentive packages and not just complain. Meanwhile, the economic growth agenda in the country relied on a healthy relationship and partnerships with all stakeholders, said Hlengwa, and, therefore, the IFP’s business outlook maintained that government should not be a job creator, but the creator of a conducive and enabling environment for business to operate. He said the IFP would start with infrastructure development such as roads and electricity, as these created linkages and enabled ease of doing business. He added that the IFP would overhaul the education system to cater for skills that were required by business and industry, which would be continuously assessed, especially to adapt to skills required for the Fourth Industrial Revolution. Hlengwa noted that the IFP would emphasise small business development and strengthen municipalities’ capabilities so that they could drive development and create local economic development strategies – with input from local business – that responded to the niche economic opportunities of the specific area. He added that, for the IFP to create certainty for business, the party would not tamper with the Constitution to acquire land. “Effectively, expropriation without compensation is nationalisation, which most often leads to collapse of social stability,” said Hlengwa.